Zen Garcia author of the book 'Lucifer - Father of Cain', will be Annette's and Edward Shanahan guest on this night. Don't miss this interesting night. Scott Grossberg, author of The Masks of Tarot joins us. On this night Tarot expert Scott Grossberg, author of The Masks of Tarot, joins Annette and Edward Shanahan to discuss the power of symbols and how that ties in with readings. Then we will take callers and do on-air readings. History of Diana Of The Dunes. Witchdragon is the guest on this broadcast. 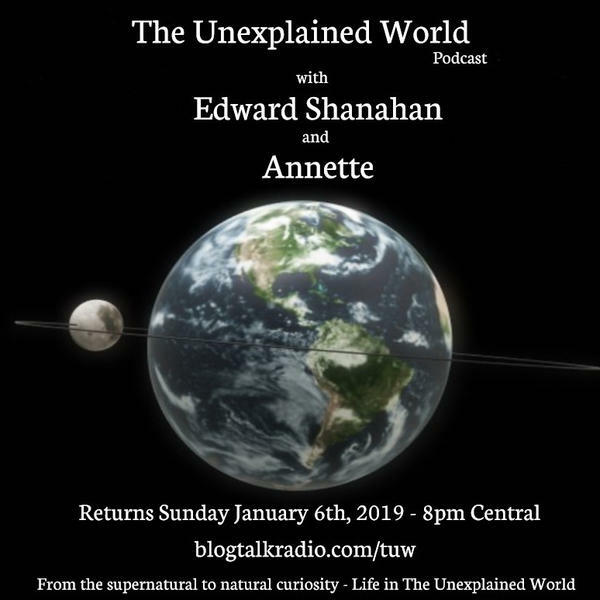 Witchdragon is the guest on this broadcast of The Unexplained World. Discussion will be about Otherkin and or Therians or Weres. Join Annette and Edward for this broadcast. Dark Angels: An Insider's Guide to Ghosts, Spirits & Attached Entities.